Simple and sleek!! The ultimate placement of your latest TV display for enjoying family moments together. 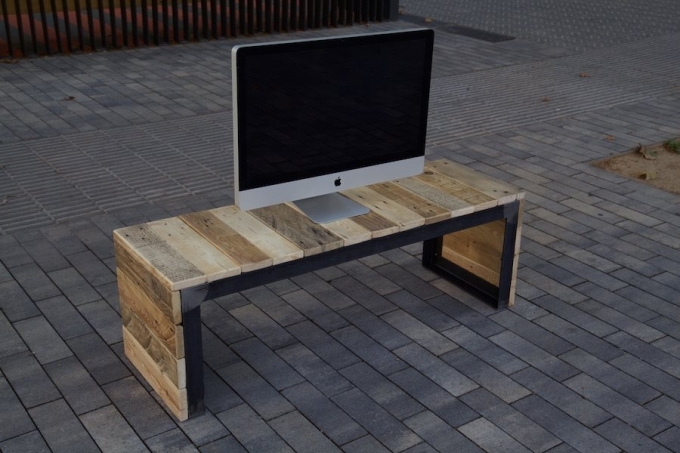 This reclaimed pallet Tv stand or console is designed with utmost importance to simplicity. Having a very easy to make structure the TV stand requires very little effort and investment. It is very much in trend nowadays and avoids the risk of TV falling when mounted with wall. Reclaimed pallet wood is becoming favorite of many to work with. 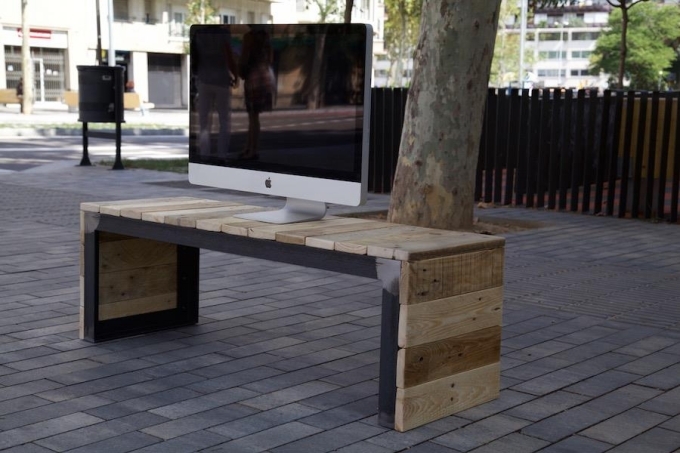 Just think outside the box and give a new look to your living room with this amazing TV console made from pallets. Pallet crafts give a modern and rustic appeal to the space. Countless options are available to convert these old wooden pieces into something very useful. 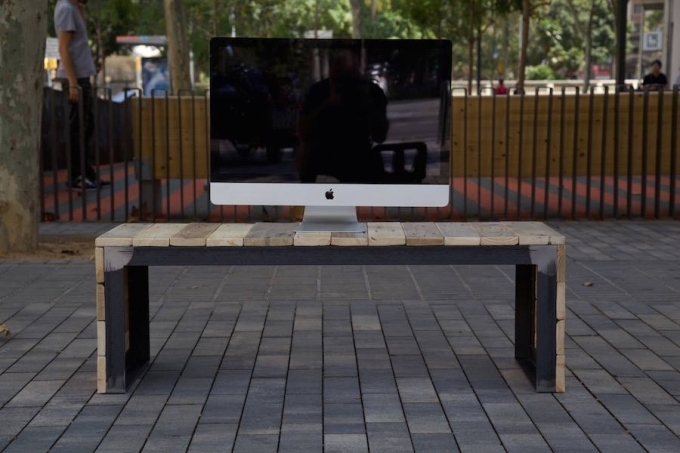 Without making any major alterations the pallets can be designed into creations which draw everyone;s attention. The TV stand is an example of decor crafts out of pallets with a touch of modern and bright image. The stand is provided with steel structure for firm support. This pallet craft is very light weight and highly practical so that you can move it from one room to another. Its construction cannot be simpler than that and the height can be increased by just adding more wooden slabs. The pallets whether old or new usually have very rough texture so lots of sanding and varnishing is involved while giving the TV stand a brighter look. The pallet crafts need to be kids safe which can be ensured by properly disinfecting the wooden pallets. 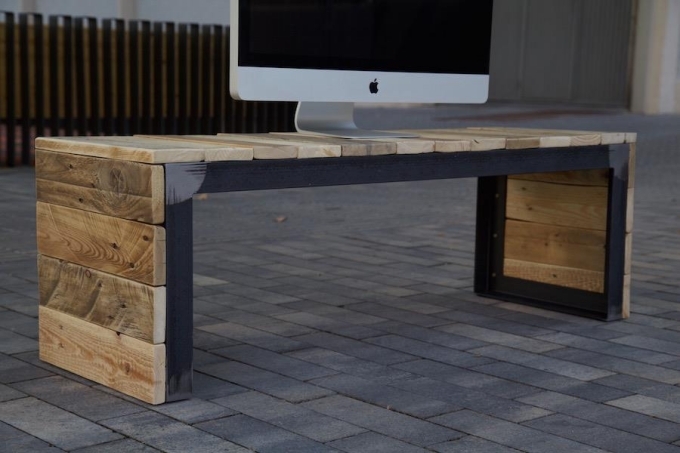 The rustic accent is given to the stand /console by using various available colors of wood. 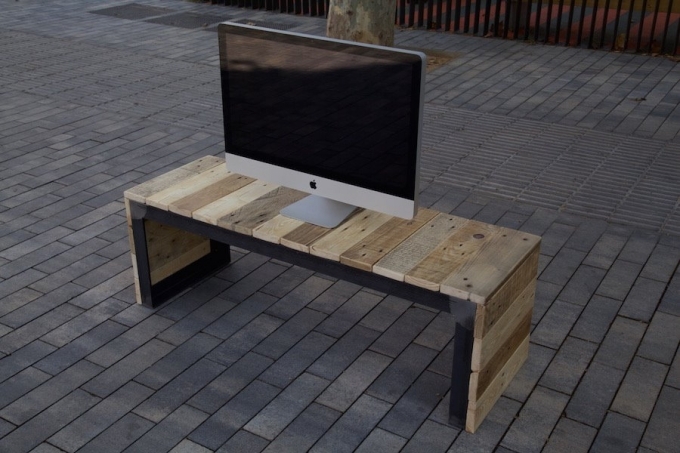 This reclaimed pallet TV stand can add lots of character to any unremarkable lounge setting. The organization is well though out and the slots are right for placing any decoration items, games, dvd player and cable box on this console. You can also place beautiful photo frames on the console.